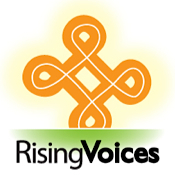 Rising Voices, the outreach arm of Global Voices, is now accepting project proposals for the second round of microgrant funding of up to $5,000 for citizen media outreach projects. Ideal applicants will present innovative and detailed proposals to teach citizen media techniques to communities that are poorly positioned to discover and take advantage of tools like blogging, video-blogging, and podcasting on their own. In July we funded five projects out of the 142 applications we received from over 60 different countries. The first five Rising Voices grantees are based in Bangladesh, Colombia, Bolivia, India, and Sierra Leone. You can view their applications by clicking on the relevant links underneath the sub-heading “Grantees” in the sidebar of the Rising Voices wiki. Convincing a group of taggers or graffiti artists to transfer their medium of expression from walls of buildings to blogs, podcasts, and online video. Approaching a local NGO with the offer of training their participants to blog and upload video in order to document the NGO's work and the community where the participants live. Distribute $10 digital cameras to two different groups of the same community and create a Flickr group where they confront each other's photographic perspectives of their city. Distribute mp3 recorders to participants of a youth group and help them produce monthly audio documentaries featuring elders who describe how their community has changed over the decades. This second round of funding differs from the first in one important aspect. You have the choice to submit your application via email as before or you can publicly post your proposal on our wiki and receive feedback on how it can be improved. Public applications can be posted on the wiki at any time and can be reworked as often as the applicant sees fit, but all applications must be finalized by the November 30 deadline. Rising Voices outreach grants will range from $1,000 to $5,000. Please be as thoughtful, specific, and realistic as possible when drafting your budgets. 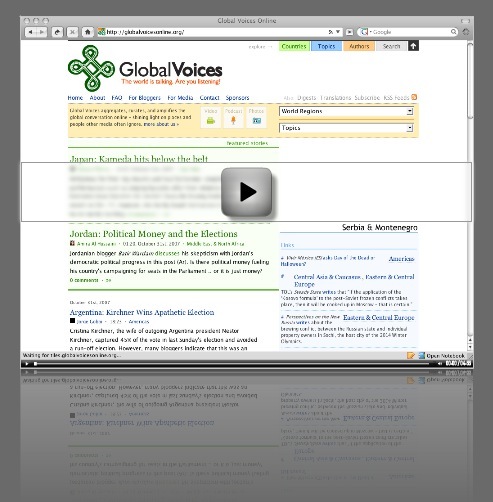 Successful projects will be prominently featured on Global Voices. To learn how to apply using the wiki you can view the screencast below or visit the instruction page on the wiki. If you would like to submit your proposal privately via email you may do so by downloading the application and emailing it to outreach@globalvoicesonline.org by November 30. No late applications will be accepted. Thanks David.It is great to have you as a guide. Thanks david to have you back here.